The BJP on Friday hit out at the Congress and other opposition parties for submitting an impeachment notice for removal of Chief Justice Dipak Misra, saying it aims to cover up their repeated failures in judicial battles. The BJP also said that the move was to “degrade and denigrate” the judiciary as the Congress and other parties were getting exposed to the judgements related to the Bharatiya Janata Party (BJP) leaders. 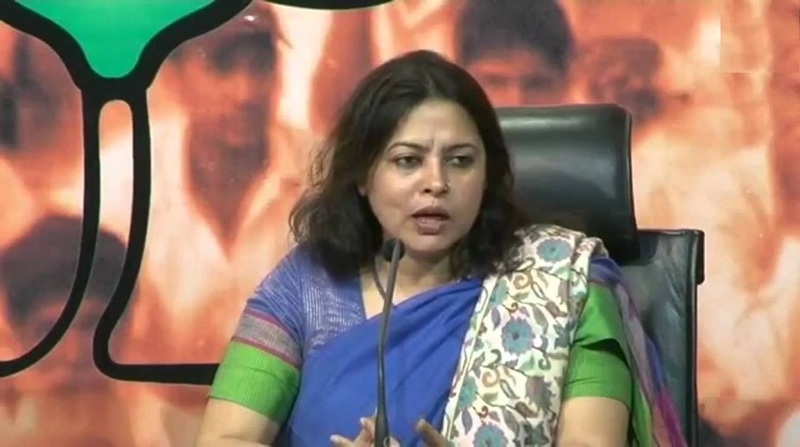 “Today (Friday) is a sad day because the government is working in every possible way but the opposition is continuously trying to degrade and denigrate the institutions,” BJP spokesperson Meenakshi Lekhi told reporters here. She said the opposition parties were constantly threatening to bring an impeachment motion against people who chose to stand independently. The opposition move came a day after a Supreme Court bench headed by Chief Justice Misra rejected a PIL for a SIT probe into the death of CBI court judge B.H. Loya, who was conducting a trial in the killing of gangster Sohrabuddin Sheikh in Gujarat in which now BJP President Amit Shah was an accused. Commenting on Naroda Patiya case in which a Gujarat minister was let off on Friday, Lekhi said the fact was that the so-called evidence pertaining to it could not stand the legal test. She said the repeated exposures were showing how institutional integrity was compromised and how the “dirty tricks department” of the Congress was at work. Accusing the Congress of interfering with the judicial system, Lekhi reminded them that the model adopted by B.R. Ambedkar for the Constitution was a separation of powers between the legislature, executive and judiciary. “If the judgements do not happen the way they want them to, then they will go to any extent motivated by malice and demean the institution of judiciary,” she said.